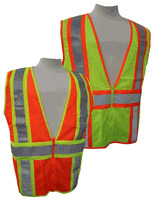 Safety Vest from emergency Responder Products are made to meet your needs. With our variety of types and options, we are sure to have a vest for you. If you have to meet the new ANSI standards or just need a basic safety vest we have what you need. Need custom imprinting? We can help.